Ann is the past President of the Sumner Association of Realtors. She was voted "Best REALTOR" in the Readers' Choice Awards of Sumner County. 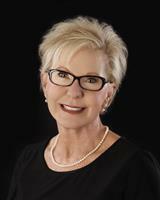 As a ReMax Elite Agent in Hendersonville, TN, Ann is in the top 4% of real estate sales in Sumner County. Ann's team of two buyers agents and Ann's skills in getting your home in front of buyers combine to make The Ann Buchanan Team top producers at ReMax Elite Hendersonville, Tennessee. Since 1984 Ann Buchanan has made her home in Hendersonville, TN. Having an agent who knows your future home town is essential! People move to Hendersonville for many reasons among them are the miles of shoreline, beautiful lake homes for sale or the ease of getting to Nashville for work and play and the beautiful rolling hills of Sumner County. If you are looking for the quaint feel of a town square, and cottage homes, nearby Gallatin is a great place to make your home. With homes on the lake in Foxland Harbor or Fairvue Plantation and the multifaceted community of Kennesaw Farms, Gallatin is a great place to start your home search! ReMax Elite Hendersonville, Tennessee takes a different approach to real estate, one that is built on personal touches, win-win deals and positive results. Ann Buchanan utilizes the latest technologies, market research and business strategies to exceed your expectations. More importantly, she listens, and that means she finds solutions that are tailored to you. "After you have had the chance to review this information, contact me so we can tell you more about how we can help. And if you are going to be a new resident of Tennessee you are going to love our state!"